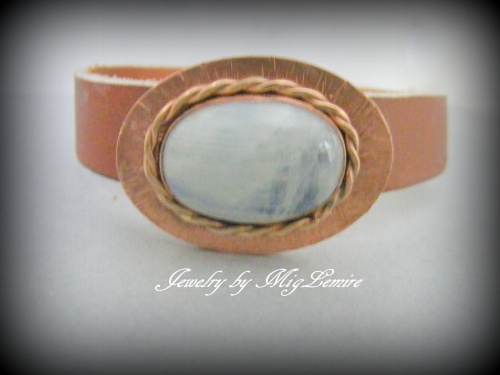 This bracelet has a beautiful Rainbow moonstone gemstone that has been framed with bronze twisted wire and then with a copper frame that has been hand hammered. Sturdy magnetic antiqued copper tone clasp. Piece measures 7 3/4".